Ladies Days 2018! Are you going to the races? From the Cheltenham Festival to Royal Ascot, Ladies Days provide the pinnacle of the social calendar and a chance to really dress to impress.A staple for Summer, they are fast becoming THE place to be seen for celebrities and public alike, but it’s not just the big courses that have got in on the act. Many of the 60 racecourses in Britain will be holding a Ladies Day or Ladies Night fixture this year, with most offering exciting food and drink packages, clothes, make-up and jewellery stalls, and music events to suit every taste and budget. What’s more, there are hundreds of fantastic prizes to be won for the best dressed and best hat, which can range from holidays and hotel stays to cash prizes and even cars! Whether you want to strut your stuff at the bookies, sip champagne on the summer lawns or simply resurrect that old hat and shoes combo from the wedding you went to last year, Ladies Days provide a great excuse to let your hair down! 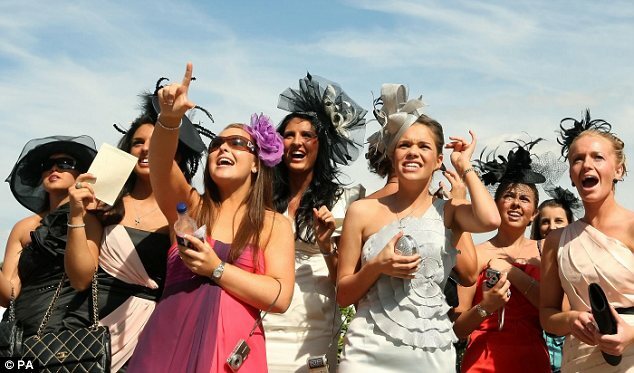 As with all race meetings, men are welcome too so share the fun with your other halves or ditch the gents for a good old-fashioned girly day out – the choice is yours! With group discounts available at most meetings, it’s time to gather the girls, get your party frocks on and get on down to your local course for an evening guaranteed to be filled with fun and frolics! – See more at: http://www.lovetheraces.com/ladies-days/#sthash.DS7zG601.dpufFrom the Cheltenham Festival to Royal Ascot, Ladies Days provide the pinnacle of the social calendar and a chance to really dress to impress. A staple for Summer, they are fast becoming THE place to be seen for celebrities and public alike, but it’s not just the big courses that have got in on the act.